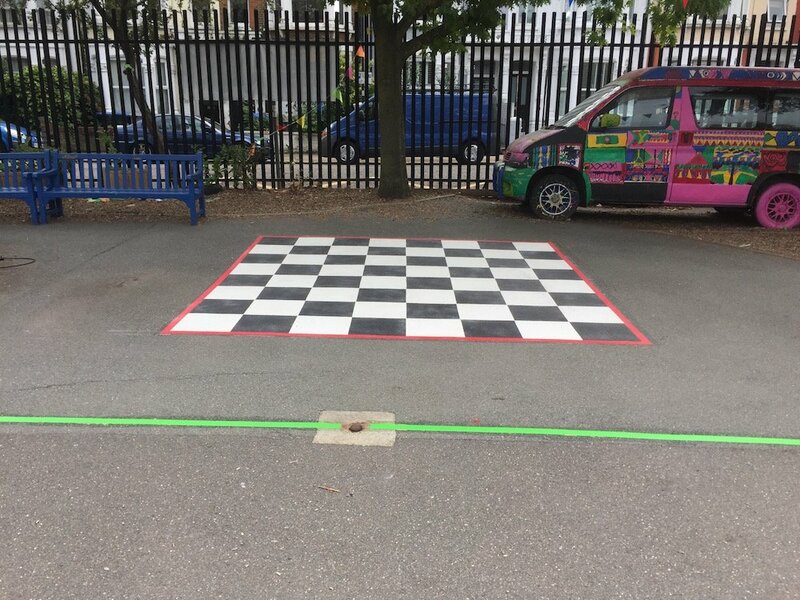 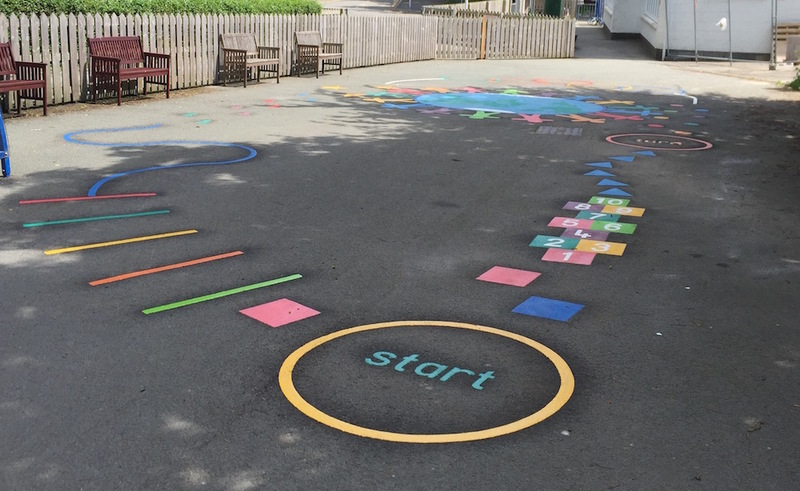 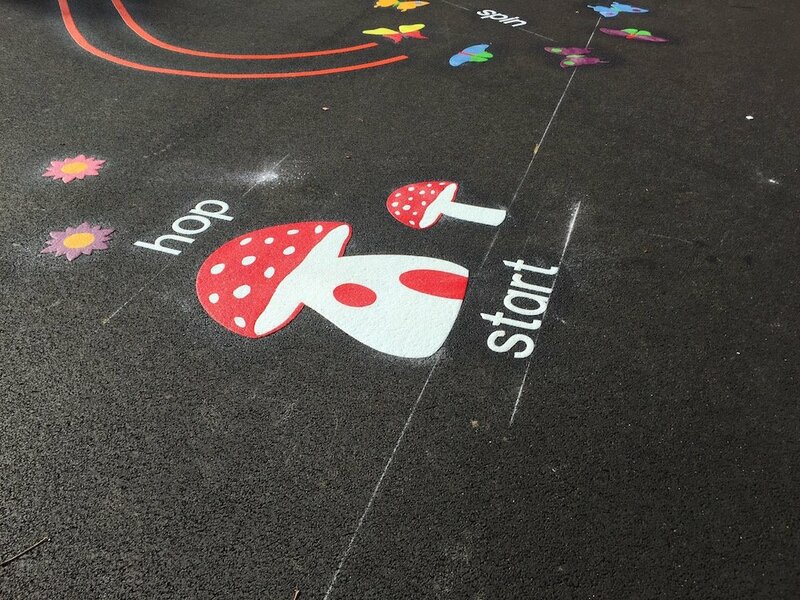 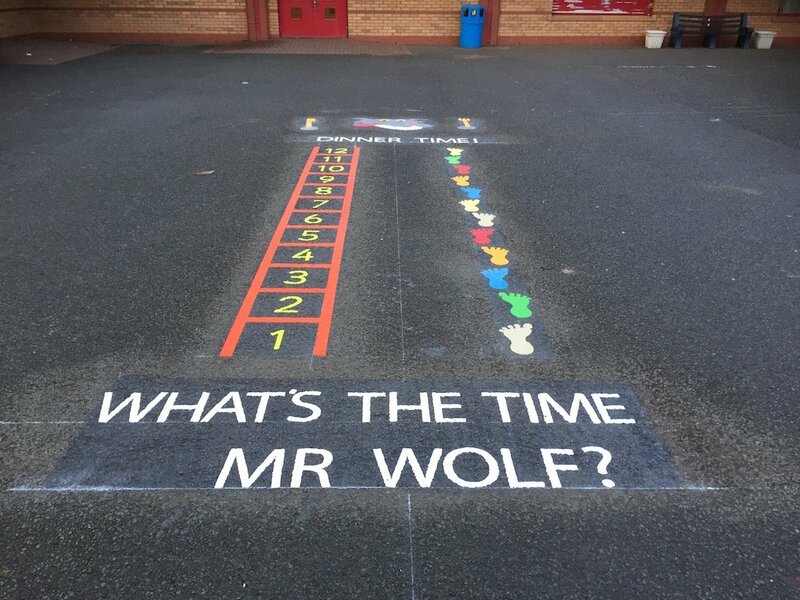 We traveled to West Wales to install a range of colourful playground markings at the local primary school. 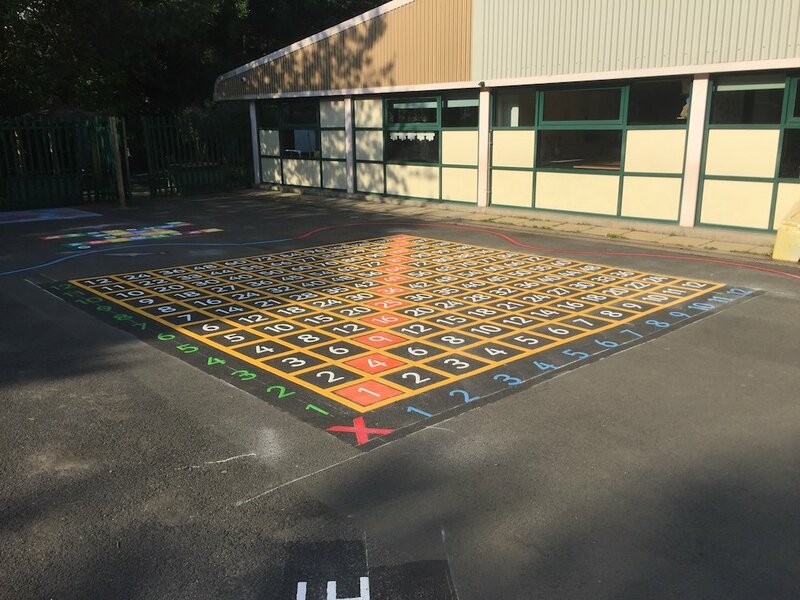 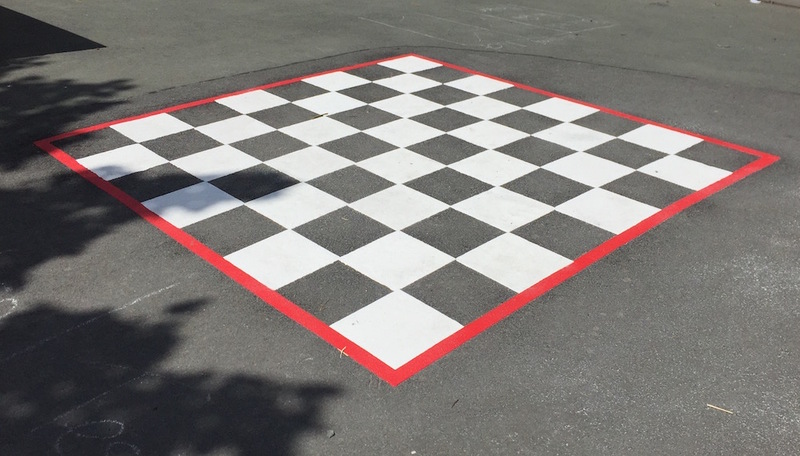 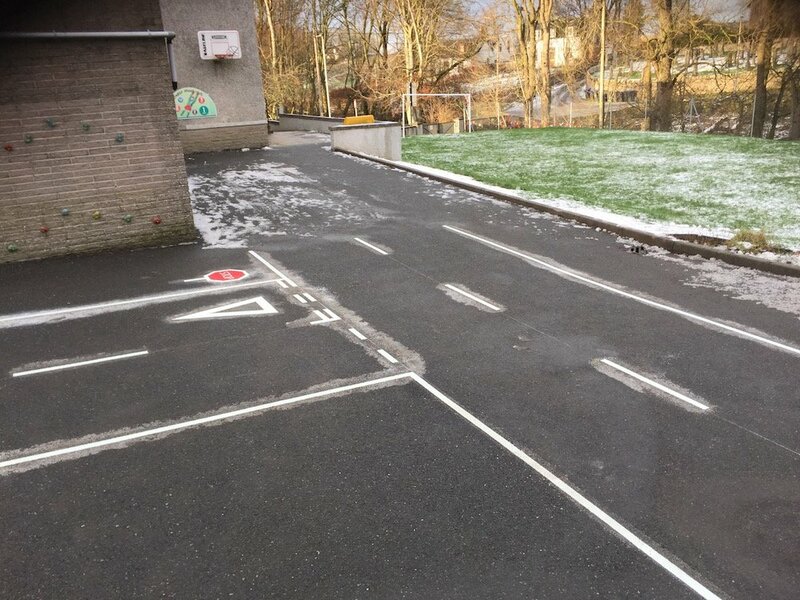 first4playgrounds installed a range of thermoplastic playground markings at Plascrug Primary School in Aberystwyth, Wales. 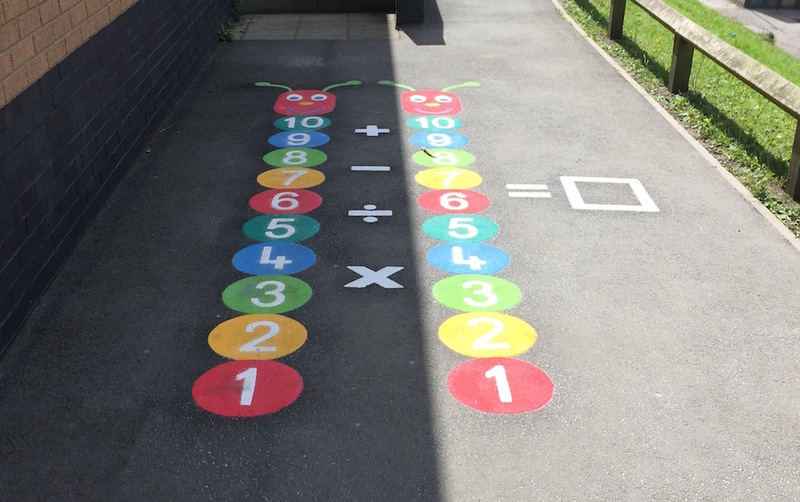 The markings included a unique world globe surrounded by colourful figures representing the multi-cultural mix of the school. 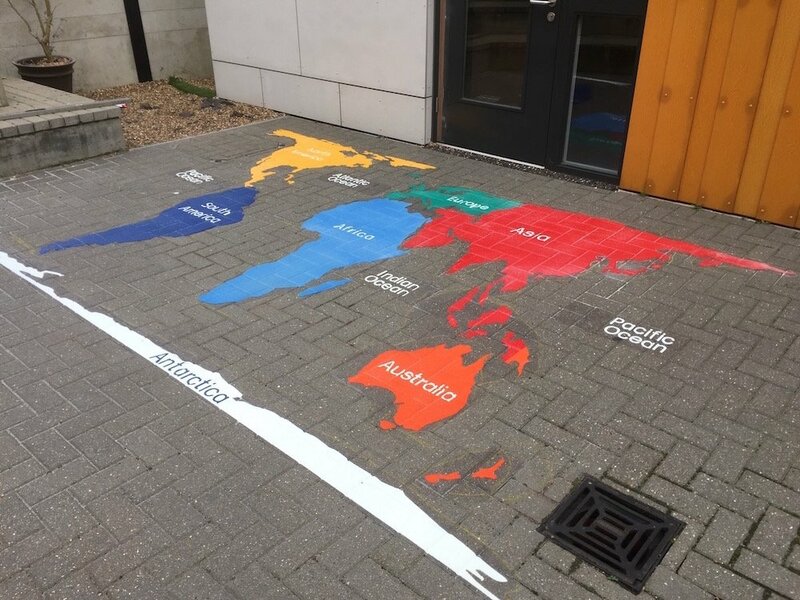 The children can now show each other which part of the world they originate from. 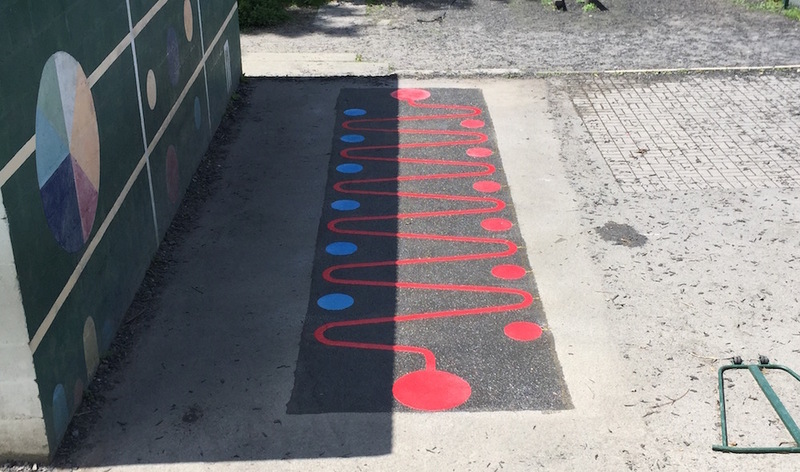 An Olympic Trail was designed to go around the world globe. 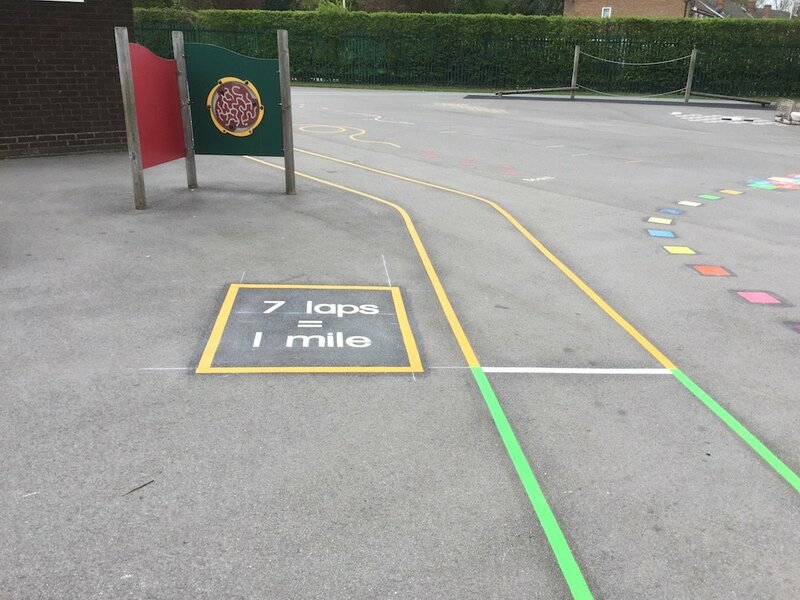 The children start in the yellow circle and make their way around the tail, hopping, skipping and running from station to station. 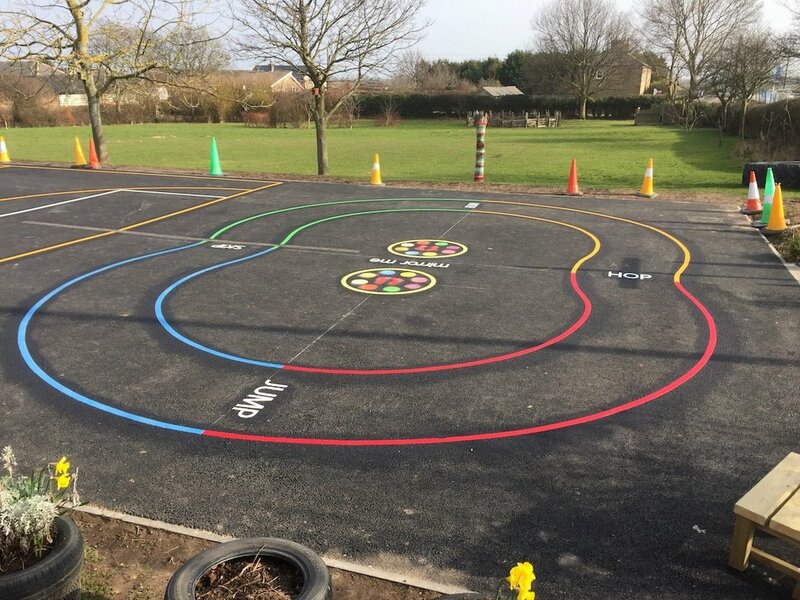 We also installed a Calculating Caterpillar game, a chess board and a skill snake for coordination games in PE.